At just about any fueling station in Macedonia, you can purchase a map titled Churches and Monasteries that shows the location of all the major churches & monasteries in Macedonia. According to this map, the Macedonian Orthodox Church is organized into ten Eparchies (Dioceses). The first seven dioceses are located within Macedonia. In 2013 the Polog – Kumanovo Diocese, #5 on the map, was divided in half. 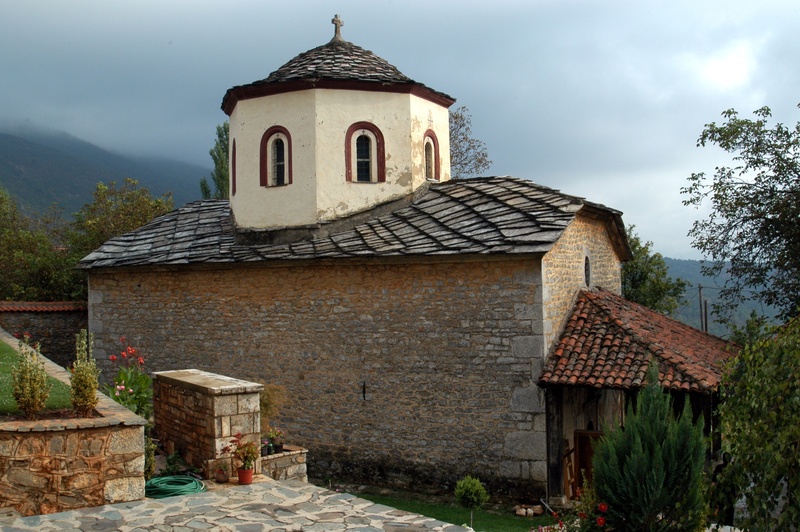 The northeastern side was renamed Kumanovo – Osogovo & the northwestern side named the Tetovo – Gostivar Diocese. So accordingly, I have organized all the photos of churches and monasteries according to their respective Diocese, followed by their location (town, village, mountain) and by the name of the Saint or Saints to whom the church and/or monastery is dedicated.